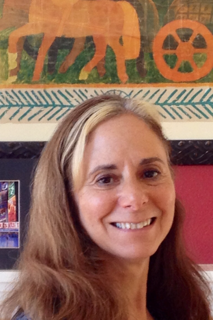 Episode 34: Interview with Author and Artist Eleanor Parker Sapia. Today was my first ever Podcast interview with Ally Bishop of www.upgradeyourstory.com. My interview airs on September 28, 2014, and I hope you’ll join us. My thanks to Ally for having me on her super show! As an author, I’ve been interviewed by fellow authors at their blogs, but the idea of this interview going ‘live’, being aired, and the fact that I couldn’t edit out dumb things I might say, kind of messed with my mind a bit this morning. Now, I’ve been told I’m well-spoken, and I enjoy public speaking, but boy, you couldn’t tell any of that on my first two takes today! I’ve listened to many of Ally’s awesome Podcast interviews, so I knew I was in her kind and very capable hands, and needn’t have worried. Ally always puts me at ease, and after a few funny false starts–me getting tongue-tied twice, and our dogs barking in the background–we were off and running. It was a fun conversation/interview once I relaxed. 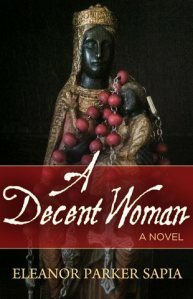 Of course, we spoke about my debut novel, A Decent Woman, set in 1900 Puerto Rico coming out December 12, 2014, my second novel, Finding Gracia based on my walk on the medieval pilgrimage path of El Camino de Santiago in Spain, and Mistress of Coffee, the sequel to A Decent Woman, which picks up the story in 1928. Among Ally’s great questions were: how I came up with my protagonist, what my writing process is, what research I did, and why I started writing novels after 25 years as an exhibiting artist. Well, I drew a complete blank. In that moment, I was thinking author/writer, and not about selling books, marketing, and social media, because I’ve certainly made early mistakes in those arenas. But, I couldn’t come up with an actual mistake I’d made in the writing of A Decent Woman beyond finding typos, and a weak sentence here and there in my draft manuscript. The answer I came up with after the Podcast, of course, was I wish I’d written a very detailed outline of A Decent Woman at the beginning because when my awesome editor, who happens to be the awesome, Ally Bishop, asked me to send her a detailed outline, I immediately saw where the story needed more tension, and where the arc in the story really should have been. That has all been fixed! And then as a newbie to ‘live’ interviews, I made what is possibly the faux pas for an author – I fumbled when I recited…er, tried to recite my author website. Yes, I did. The ONE thing I needed to state clearly for all to hear and remember, and I messed it up. Don’t ask me what I was thinking! I eventually got the web address out, so here it is in case you don’t catch it in the Podcast interview. All I remember in that moment was not remembering whether or not I’d bought my domain name, and I had. Stage fright! ** Don’t forget to listen in on September 28 for my Podcast Interview with Ally Bishop at www.upgradeyourstory.com ** You have my permission to giggle at the end when I fumble with my website address! The book, THE ARTIST’S WAY by Julia Cameron, a birthday gift from my step-mom a year after she married my dad, sat on my book shelf for nearly a year before I opened it. I knew why it took me a year to read the book-I didn’t want to get to know my step-mom. I was still grieving my mother’s unexpected death in 1992. Although R was nice enough, and she and my dad were happy in their new home in South Florida, I wasn’t ready to form a relationship with the lifelong Floridian who I felt sure would keep my dad in Florida. That was my grief speaking. No one could replace my mother in my mind, and after a few years, I realized R wasn’t trying to take her place, and they weren’t moving back to Northern Virginia, either. Then, the Army sent my husband to Belgium, and we moved abroad. I saw my dad and step-mom during our family home leaves to the US, and we grew closer. In 2006, I moved back to Northern Virginia with my children after 13 years abroad, and knew their decision to remain in Florida would mean fewer family visits, and hardships all around if one or both of them became ill. I was now a single, working mother on a limited budget, I couldn’t fly down at the drop of a hat, and neither could my sister, also a single mom. Despite the distance between us, we finally managed to become a family. My step-mom has taken wonderful care of my father over the years as he battled colon cancer, and she dealt with her own cancer scare. She remains a courageous, loving, and committed caregiver as they both deal with my father’s advanced Alzheimer’s. Just this week, doctors discovered a cancerous tumor growing in my father’s skull, so my step-mom and 84-year old father are looking at a tough end of the year. His surgery will be extremely delicate because of his advanced age, and the location of the tumor. I’ve been told putting my dad under anesthesia could speed up his dementia or cause a stroke, so I’m headed to South Florida with my youngest sister in early October to care for our father, and give R a much-needed break. but after writing the seventh word in this blog post, I knew I was going a different route, taking a healing detour I needed. 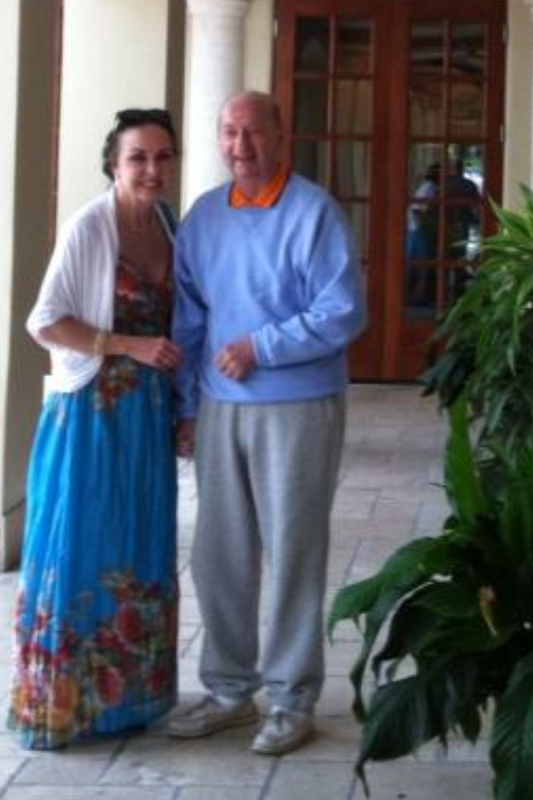 I realize what’s on my mind and heavy heart today are my dad and my step-mom, not The Artist’s Way, not Julia Cameron. 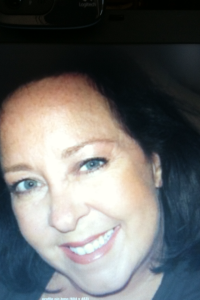 I’m thrilled to welcome talented author and fun lady, Claudia Long, to the Writing Life. Before I discovered Claudia was a fellow Latina and Booktrope author, I’d read her fascinating novel, The Harlot’s Pen, and passed the book to my sister who loves Claudia’s writing as much as I do. Claudia’s fabulous novels, Josefina’s Sin and The Duel for Consuelo were the next books I read, and I am definitely a fan! Claudia was one of the first authors to reach out to me, and as a new author, I appreciated her kind gesture. Claudia spends her time in California, practicing law and writing books. She has raised her children, and has time to explore the incredible impact that art, poetry, law and of course, the heart, had on women of a long-ago time. The Duel for Consuelo fits into several categories, but the most obvious one is Historical Fiction. It takes place in 1711 in Colonial Mexico, so it also can be categorized as World Literature, Latina Literature, Jewish Literature (the Secret Jews of Mexico are a central theme) and by some, Historical Romance. Please describe what The Duel for Consuelo is about. 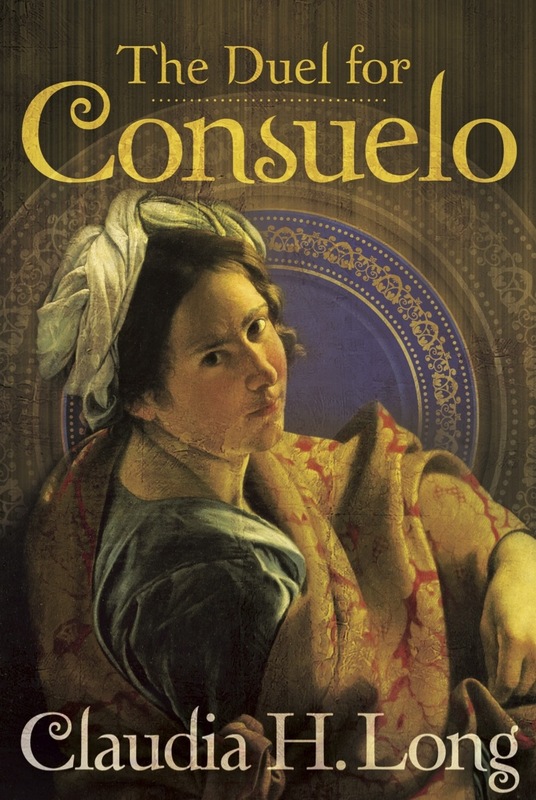 Consuelo is a young woman with conflicts and secrets. Her ailing mother is a secret Jew during the time of the Inquisition. She’s the daughter of the mayor, who has some serious issues threatening him and his family. She is in love with Juan Carlos, but he seems to regard her with disdain since his return from the university in Salamanca, Spain. And she is wooed by the handsome Leandro, a poet, a Spaniard, and whose money could solve her father’s crisis. Juan Carlos and Leandro have devastating secrets of their own. And the Inquisition has discovered Consuelo’s mother’s secret practices. When I started to write the novel, the duel at the end of the book was central to my idea. By the time the book was written, there were so many duels—internal, external, literal—that the title sort of presented itself. I was intrigued by the Secret Jews and their covert practices in the New World. I am likely the descendant, very distantly, of Spanish Jews who fled Spain in 1492, and I grew up in Mexico City, so the attraction was very strong. My first book of the Castillo family, Josefina’s Sin, brought Juan Carlos into the world with some different parentage issues, so by the time that book was finished I knew that I would be continuing the Castillo lineage if nothing else. I know this is going to sound really strange but I get a real rush when I write. I feel physically and emotionally excited. I can hardly breathe sometimes! I don’t know why. Some people say that writing is painful, but for me, even if the topic is painful or deeply personal, it’s exhilarating. I played water polo in college—this is relevant!—and I got my black belt in Tae Kwon Do, and when I would think about a game, or about sparring, I would get excited. I get the same feeling when I write. Weird! Wanting to get to the “good part.” So when I’m doing some necessary exposition, or worse yet, editing, all I want to do is get to the part where I get to write the exciting stuff! I’m impatient! Do you have all day? Ok: Gabriel Garcia Marquez, Jane Austen, Julio Cortazar, John Barth, David Liss, Elizabeth Peters, Sue Kaufman, Alexander McCall Smith, Ben Aaronovitch, Rhys Bowen, Dorothy Sayers…. I will stop now. I read constantly. About 2 books a week. I’m insatiable. I have been very strongly influenced by the writing of Gabriel Garcia Marquez and David Liss. Personally, I have been most influenced by my mother, the bravest woman I know, who was unspeakably talented in myriad areas. I’ve written during Continuing Education lectures (don’t tell!) and on the subway to work, but my two favorite places to write are at my desk at work (don’t tell!!!!) and at the dining room table. I tend to take on hopeless hobbies. I have taken violin lessons for five years, and am on page 37 of the first book for beginners. I have taken up belly dancing, something ladies my age should think twice or thrice about. I took up Tae Kwon Do, even though I am small and relatively uncoordinated, earning my black belt when I was almost 50. I wrote stories after my first daughter was born, and I had no time, sleep or quiet to do it in. Need someone to take on the impossible? I’m your gal. I’ve been through it all. 100 rejections. A contract with Simon & Schuster. Indie publishing. Self-publishing. Partner publishing. No agent. A great agent. What I have learned is that every form of publishing has its pros and cons. No one except the very famous will turn down a New York Big 5 publisher. It gives you an advance and instant credibility, but it may not give you much support in marketing. And without immediate sales you are in their rear-view mirror in less than three months. Small presses and true independents will not give you an advance (or if they do, it will be tiny) but they often provide excellent editorial service and publicity. They will stick with you until you make it. With any publishing contract, it is unbelievably hard to get heard above the noise. Self-publishing makes it almost impossible to be heard above the noise. A good agent is worth her weight in gold. And Twitter is fun but it won’t sell your book. I wrote the story I wanted to write, and then polished it for a year until it was as good as it could be. This is important. Please take it seriously. For non-fiction, where you must stick with the facts, ask yourself why this non-fiction event is interesting enough to write about. Be able to answer that in 2 sentences that don’t include the words I or me. And then make the telling of that event interesting. Edit. Edit. Edit. Edit. Remove. Delete all adverbs possible. Make the reader roar with laughter, don’t tell me that your character roared with laughter. Don’t tell me she said softly, and he answered hesitantly, and she cooed mournfully and laughed uproariously. Show me! And her lips don’t twitch, his eyes don’t bore into hers or her body or wander over her curves. When she walks to the door, opens it and goes out, unless there’s a monster or her long-lost lover behind the door when she opens it, skip that part! She just goes out. What’s next for you, Claudia? I’m so glad you asked! My next two books just came to me in a flash this week! That’s how it works for me. I wait and walk and wait and walk and all of a sudden the next book comes to me in bulk! So, in the second half of The Duel for Consuelo we meet Susanna and her daughter Marcela. Marcela will be the next heroine, as she makes her way Norte, all the way to what will eventually be the US. And we’ll be cooking with Josefina and Consuelo…. Thanks for a super interview, Claudia! I can’t wait to read your new books! is your manuscript ready to send out? You’ve sacrificed a lot to write this book, I know. You’ve lost sleep you might never recover by staying up late plotting, agonizing over the perfect word for that sentence, and you’ve laughed and cried with the characters in your beloved story. Perhaps you gave up your day job to write full time, got rid of cable television, and sold items in your home to purchase more books to accompany the stacks of books against the wall of your writing nook because you must read in order to learn to write well! Your friends and family are a bit irritated with you for declining invitations, and they’re ready to have you back in their lives. Your dog no longer comes when you call him for a walk because you write in silence, and he’s forgotten the sound of your voice. You seem to turn every single conversation with family and friends into a plug for your book because that’s what you eat, drink, dream about, and breathe these days, and you can’t stop it. You no longer accept dates on weekends because you write 24/7, and you pray you meet the person of your dreams at your book launch, book signing, or a writer’s conference because you don’t get out much. Welcome to the writer’s life. Wait, that’s my life, but the questions remains: Is your manuscript ready to send out? No doubt you’ve purchased the current Writer’s Digest Guide to Literary Agents, and spent hours combing through every page, highlighting agents who represent your genre. All this while editing the heck outta your novel, right? You’ve enlisted family and friends to read your draft manuscript, and they’ve given you the thumbs up. A few intrepid souls have read your manuscript again after you’ve made changes, and you’ve promised them the world and then some for the wonderful gift of reading your book. They’re awesome! You’ve removed all unnecessary adverbs, and reworded every sentence to get rid of the words, ‘that’ ‘really’ ‘just’ don’t help your story. You own a great dictionary, thesaurus, and books on character traits, writing the perfect novel, editing the perfect novel, and books on creating believable characters and dialogue. Perhaps you’ve hired a professional editor for a concept edit, and you’ve decided to do your own editing. Maybe it’s the other way around, you’ll take care of the concept edit because hey, it’s your story, right? You’ve read your story aloud to get the rhythm right, and you’ve even taped yourself reading your book. You’ve read other books in your genre to see what’s out there, and to make sure your story is unique and interesting. Your dialogue is natural, there is tension on practically every page, and the arc of the story is fabulous! Your manuscript may be ready! May I offer you a bit of unsolicited advice? Read your manuscript again. Edit again and again until you have the most wonderful piece of literature; a book you’ll be proud of. If you haven’t enlisted the help of an editor, please do. Then, send those queries out! Best wishes! Posted on September 3, 2014 September 3, 2014 Categories UncategorizedTags agents, book, debut author, editing, fiction, manuscript, novel, publishers, query, writing4 Comments on Does This Sound Like You?